Parliament house on the left and Fairmont Château Laurier on the right of the Rideau Canal. Well I’ve been here for near on six weeks and have well and truly settled in. Ottawa has this atmosphere that’s just the right balance between the busyness of a city, and the charm of a small town, and I’m really loving it. Between the city centre, which is just a 10 minute walk away, and the University of Ottawa, there’s always something fun to do. I’ve got the pleasure of living in a single room on the top floor of my residence building. It’s not so excellent when the lifts break down and I have to walk all fifteen flights to get up here, but seeing this view in the morning absolutely makes up for it. 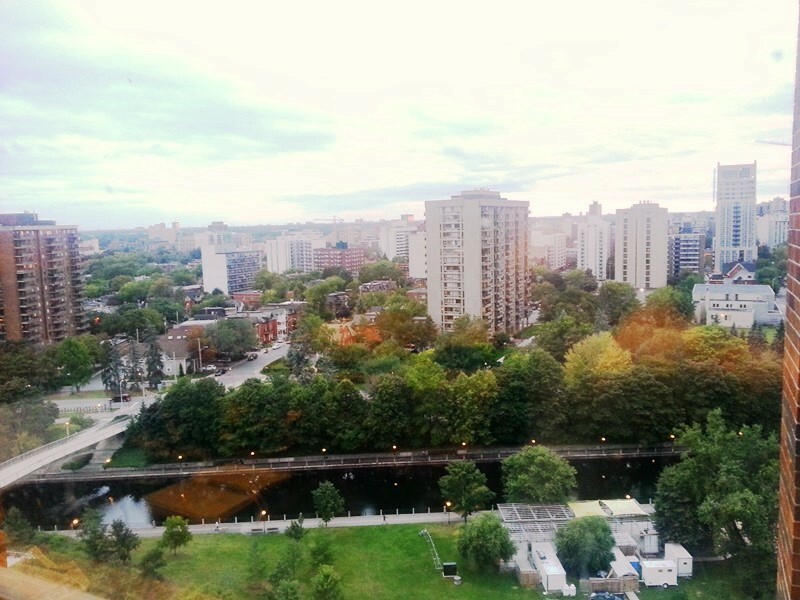 Out from my window- Downtown Ottawa and the Rideau Canal. Right now I can see people cycling and roller blading (yes, roller blading! This one stumped me before I realized this is a city full of seasoned ice skaters) down the side of the Rideau Canal, soaking up the last few days of summer warmth. I’ve been told that in winter the canal freezes over and people use it to ice skate to work or uni, so I’m desperately hoping that it’ll happen early enough while I’m still here to see it. The biggest plus to living in residence is always having friends around- be it to complain at the night before a quiz I definitely haven’t studied enough for, or, more commonly, for having all-night Game of Thrones marathons with (that first point… may be linked to the second, I’ll have to look into that). Of course, the other major upside is living right on campus, and getting to leave my room ten minutes before a class starts. Of all the things I’m missing about Sydney, CityRail and the fifty minute commute are not one of them! 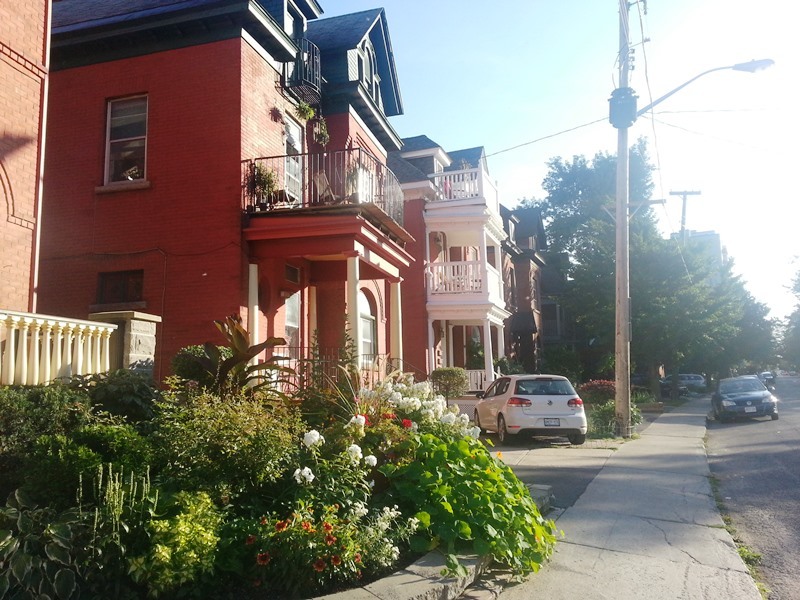 The lovely houses of Sandy Hill, the student suburb right next to the university. Sunday afternoon Quidditch. Surprisingly, a high contact sport! Canada hasn’t taken much getting used to, I must say. I’ve been taken to do a bunch of Canadian things, including eating poutine, beaver tails (note: not actual beaver tails, but an impossibly delicious and probably very unhealthy pastry desert, served with melted chocolate on top) and visiting their Parliament House. I’ve only wandered out of my building a few times dressed completely inappropriate for the weather, but I’m learning that seeing bright sunshine out the window at this time of year does NOT mean that it’s necessarily going to be warm. I’m also getting used to having all the signs and forms written in French first, then English, which was confusing initially. I had hoped to maybe learn some French while I was here, but all the French friends I’ve made just want to practice their English with me! One of the unexpected things I’ve loved has been making friends with other international students, from all over the world. In the mean time, midterms are coming up and the pressure is starting to pile on, but I’m still trying to find the time to take weekend trips away. 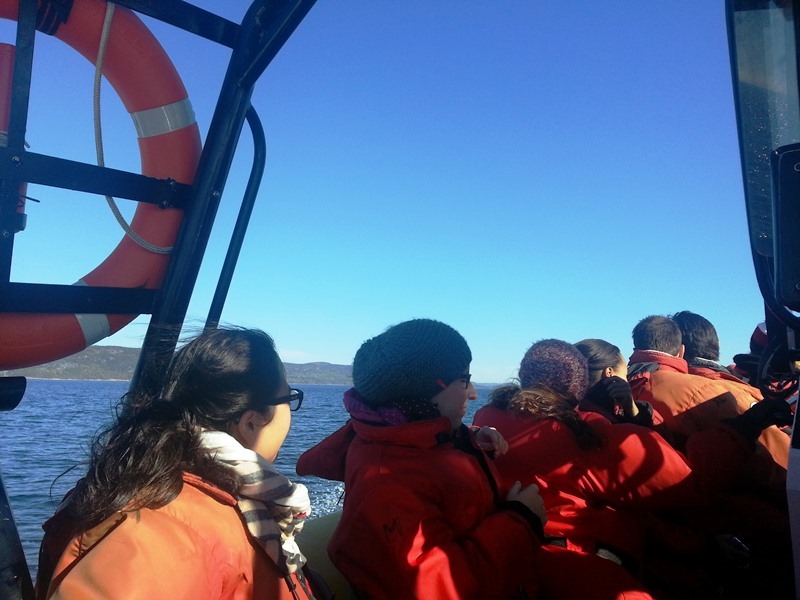 Last weekend I was able to go whale watching with a wonderful group of international students (stopping by Quebec City on the way home to eat and party for one brilliant night, of course). 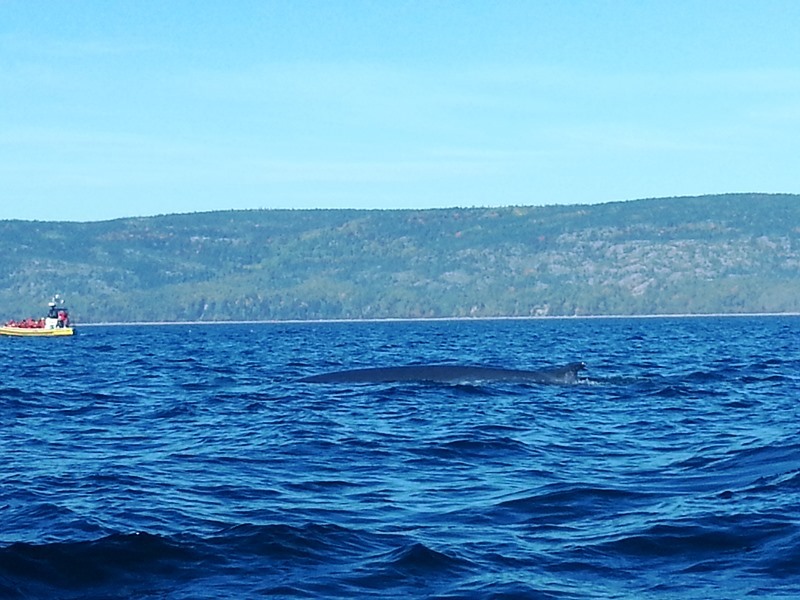 A glimpse of a fin whale, the second longest animal in the world. A classic example of ‘looking sunny/ absolutely freezing’. I’m looking forward to many more adventures in lovely Ottawa, and of course when things get a little quiet here, the location makes it perfect to pop over to a nearby city. New York’s during study break, with Montreal on the list soon after that, and who knows what’s next. I’m excited to find out! Hey lucky ducky, I’m wishing I was there too. Glad the occasional 15 flights can make up for the missed running exercise to catch your train at home… What a view! Thank you Emily, I was tossed against, University of Regina and University of Ottawa but your review has definitely persuaded me to take your path. 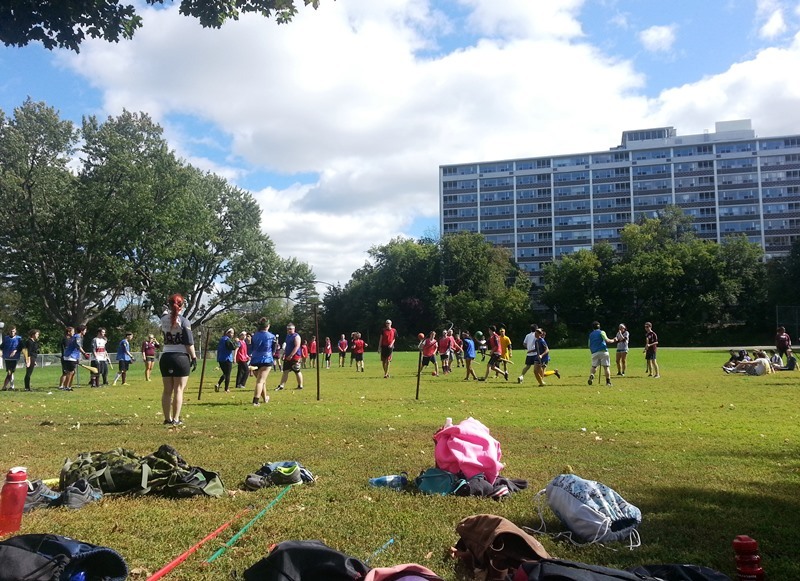 I was surprised to hear they have Quidditch as a contact sport, that I got to see. It definitely seems you have had an amazing experience and thank you for sharing your inspiring story. I am currently a 2nd year student studying Engineering and am thinking about student exchange. UTS Global Exchange Hello from Ottawa, CANADA!